Planting has never been easy especially when you start with a seed. Basically, a seed is difficult to grow particularly if its coat is too hard and if the requirements are not met. Hard seed coat will lead to inability to germinate, and if the seed does not germinate, obviously you cannot produce your own plant. You might be asking why you need to produce your own seeds when you can buy one from seed stores or producers. Fundamentally, seeds are the initial requirement to produce your plants (if its seed base). For this reason, seed manufacturers sell seeds for expensive prices since they know they will profit. Hence, to avoid having to expense for seeds, produce it on your own if you can. However, seeds are not easy to grow if you don’t have the right knowledge, especially for stubborn ones. 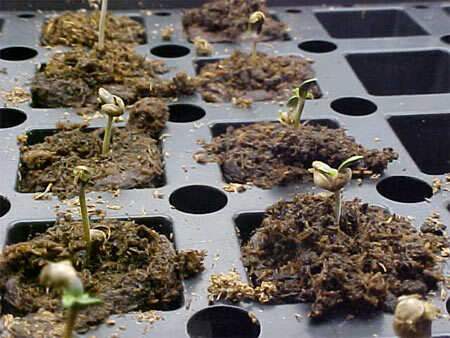 If you are suffering from seeds that fail to germinate, there are major ways you can address and consider to make your marijuana seed grow. These procedures include soaking, scuffing, and paper towel germination. As the word “soaking” implies, basically it talks about water. You simply need to soak the seed in the water to soften the seed coat which makes it not germinating. The first thing you need to do is to make sure that the water is clean to avoid contamination since seeds are very gentle just like a baby. Once you have the water, pour it in a glass and gently soak the seed. Leave it for hours depending on how hard the coat is. But remember do not soak it for more than 24 hours. In addition, take note that the room should have a room temperature since temperature greatly affects the seed. This process requires labor. You need to literally scuff the seed coat to reduce the density of the coat and allow the penetration of water easily to the embryo of the plant. For the scuffing process, you need to use either sand papers or emery boards to create scratches around the seed hull. This process is not really common, but possible. First is to place the marijuana seed in a paper towel and cover it with another. Pour water on the top to soak both the paper and the seed. Make sure the water is all soaked in or just simply tilt the paper to run the water down. After soaking, place the paper and the seed in a heating pan and heat it for 75°F and wait till the head of the seed opens up. Take note that if the seed has already opened, plant it immediately since seed opening means it is about to grow. When planting, provide the necessary factors for germination which are the water, air, and soil nutrients (water for hydroponics). However, if the seed still does not germinate, you might want to check for the embryo and consider dead embryonic cells. If the embryo is dead, basically it will definitely not germinate.